Renovating your home should not be limited to just the interior of your home. Upgrading your patio and landscaping will provide your outdoor space with a fresh feel. You have many choices for a new patio surface and walkway, including concrete, flagstone, brick, tile, and cobblestone, to name a few. New landscaping allows you to create a peaceful and tranquil oasis where you can go to escape the everyday world. The addition of greenery and flowers is a wonderful way to increase the positive energy in your life. You can create an enclosed sunroom or porch in your patio area. A beautiful pergola is also an excellent choice for rejuvenating your patio. Providing a comfortable outdoor dining and entertaining space, i.e., with an outdoor grill and fireplace, will greatly enhance the value of your home as well as your enjoyment of this space. All of these upgrades and additions can be customized to meet your needs, lifestyle and budget. 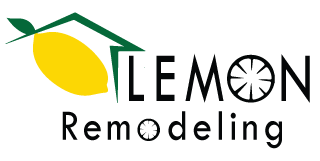 Let Lemon Remodeling help you create your dream oasis!